Every summer, countless children fill churches for an unforgettable week of Vacation Bible School. 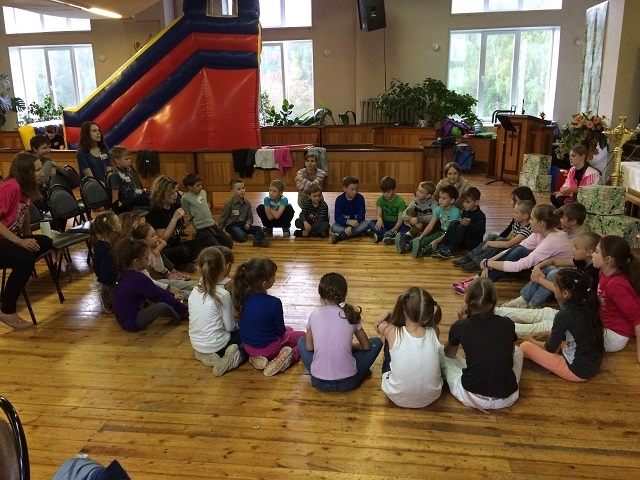 Whether it’s in Louisiana--or thousands of miles away in Russia--lives are impacted through songs, storytelling and scripture. 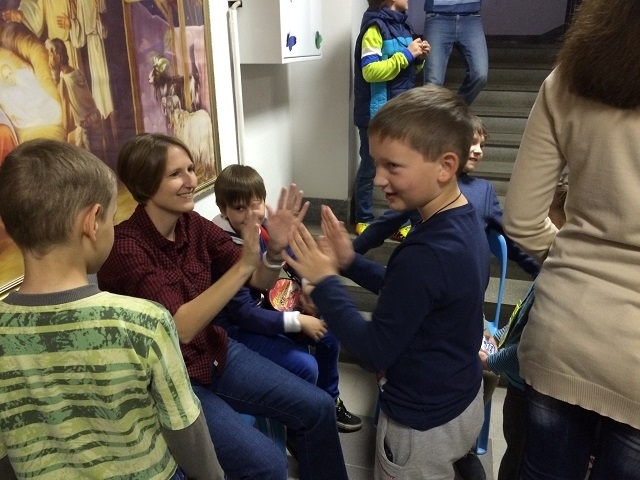 On June 2, a Louisiana Volunteers in Mission team traveled to Russia to help the people of First United Methodist Church in Ekaterinburg put on VBS. More than 120 children, parents and leaders participated in the event. The group included James Gillespie (Broadmoor UMC, Shreveport), Rev. Ashley Goad and Emily Andrews (First UMC, Shreveport) and Sandra Kuykendall (St. John’s UMC, Baton Rouge). "Even though a significant language and culture barrier was evident, the laughter and smiles translated effortlessly. 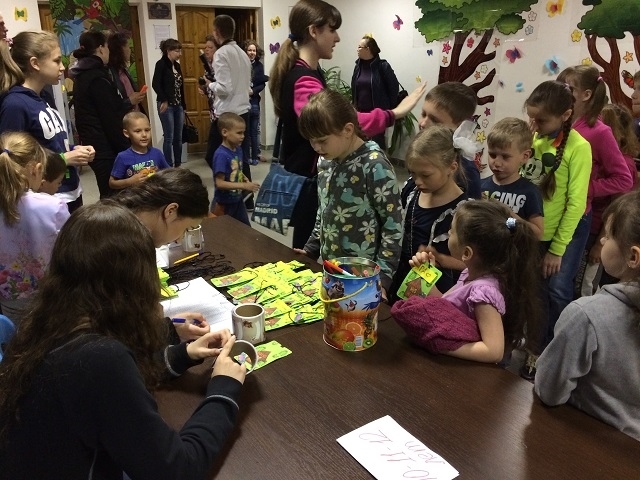 Each day, Russian voices filled the church with singing and familiar Bible stories," said Gillespie, coordinator of the Russia ministry initiative for the Louisiana Conference. The group also participated in Sunday worship services, with Rev. Goad sharing the sermon. 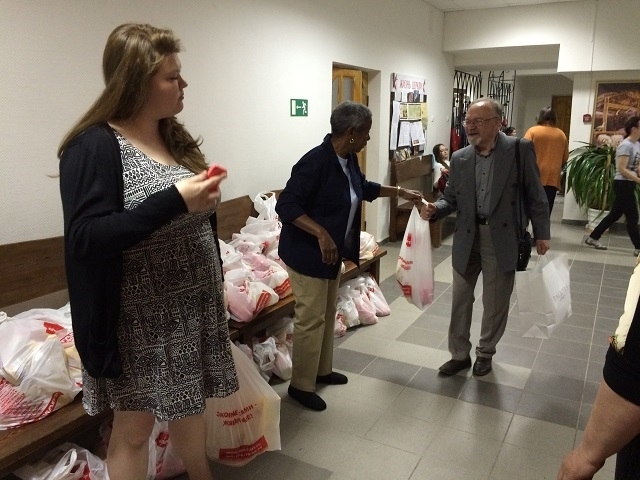 Members of the church lined up after the service to receive food bags that had been prepared by the Louisiana delegation. "One bag of the most basic necessities – flour, oil, canned meat – left several people speechless. A small expression of generosity was life-changing for many that day," said Gillespie. The team participated for three nights with members of the congregation in adult Bible studies, discussing John Wesley’s 22 "small group" questions. "Using Max Lucado’s Fearless as a guide, the adults talked through common fears held by most people, and how God’s word empowers us to live with faith. The worries and uncertainties facing people in Russia are the very same pressures we all face. We were united by the same God that walks with us every day, even half a world away," said Gillespie. "Thank you to every person that prayed faithfully and gave monetarily to make this possible," he added. "Your investment in the lives of our Russian friends will continue to grow and multiply for many years to come."